If there was ever a justification needed for space technology, it’s that it keeps people like me from constantly being lost. These days, my smart phone is much better than me at getting around thanks to a fleet of satellites that tells it where it is at all times. Though not a particularly romantic anniversary, today marks 25 years since the first satellite in the U.S. Global Positioning System launched from Cape Canaveral, beginning the set up for one of the wonders of the modern world. In the two and a half decades since then, GPS has become inextricably embedded into just about everything we own, finding use in cartography, smart phone apps, geotagging and geocaching, disaster relief, and hundreds of other applications, while simultaneously raising privacy concerns. GPS relies on at least 24 satellites flying 20,000 kilometers overhead in one of six different orbital paths, tracing out what looks like a toy model of an atom. With their solar panels extended, each of these 1-ton satellites is about the same size as a giraffe. At any given moment, each satellite beams out a signal identifying itself and giving its time and location. Your GPS-enabled phone or car captures that signal and compares the time it was received to the time it was transmitted. A quick calculation involving the speed of light allows the device to figure out the distance to that satellite. If you have your distance to two or three satellites, you can triangulate your position on the Earth. When all the GPS satellites are working, a user always has at least four in view, allowing them to determine things like altitude, speed, and direction. In order to properly triangulate, GPS requires extremely accurate timekeeping, which is why each satellite carries an atomic clock. The satellites are also some of the most important technology using lessons learned from Einstein, who taught us that clocks outside a gravitational well will run faster than those inside of it because of the warping of space-time. An opposite effect comes from the fact that GPS satellites move at 14,000 kilometers per hour (0.001 percent the speed of light), meaning that they experience a slight time dilation making their clocks run slow relative to one at rest on the ground. The two effects taken together mean that the clock on a GPS satellite runs about 38 microseconds faster each day than ones here on Earth. GPS requires accuracy of 20 to 30 nanoseconds (one microsecond is 1,000 nanoseconds), so both effects are part of the calculation determining how far away each satellite is at any given time. The idea behind GPS comes from the very beginnings of the Space Race. In 1957, the Soviet’s newly launched Sputnik satellite emitted a characteristic radio beep that could be tuned in to as the object passed overhead. While the rest of the U.S. was freaking out, two scientists at the Applied Physics Laboratory realized they could use those transmissions to pinpoint where the satellite was. As Sputnik approached, its radio signals would get compressed a little, shortening their wavelength, and as it receded, the wavelengths would lengthen. This is known as the Doppler effect and can easily be heard as an ambulance speeds toward you, the pitch of its siren getting higher. The APL scientists used UNIVAC, one of the first commercial computers in the U.S., to figure out Sputnik’s orbit. A year later, they were asked to do the opposite problem: Find out where someone was on Earth based on the location of an overhead satellite. This was soon taken up by the Department of Defense’s Advanced Research Projects Agency (later named DARPA, the agency responsible for developing the internet), which launched satellites starting in 1964 as part of the TRANSIT program, the first satellite navigation program. The U.S. Navy was the main user of the TRANSIT satellites, using them to provide location information for their missile submarines. But submarines needed to accurately know their position before launching a missile in order to hit their target. The Navy had TRANSIT for this. Working in parallel throughout the 1960s, the Air Force developed a similar concept called MOSAIC for their bombers and the Army launched satellites under the SECOR program that could determine the location of a unit somewhere on the globe. By 1973, the branches of the U.S. military realized they could combine their ideas and come up with something superior to all three. In September of that year, the top brass met at the Pentagon and came up with what would eventually become known as the Navigation System Using Timing and Ranging program, called Navstar-GPS, which was later shortened to just GPS. 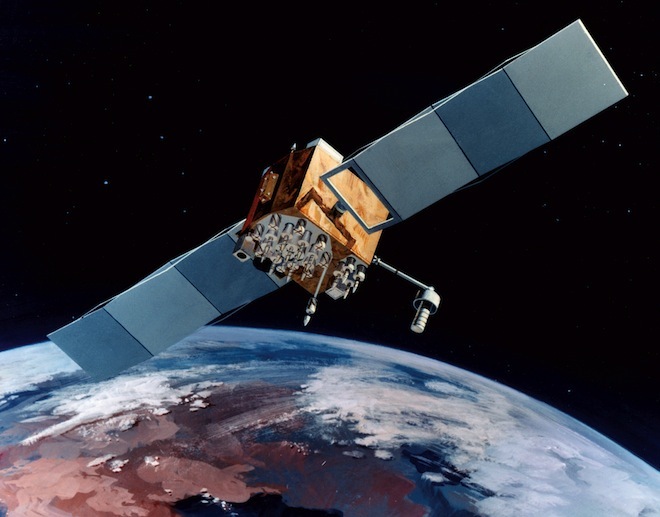 Between 1978 and 1985, the military launched 11 satellites (10 of which worked) to test the new GPS system. After Korean Air Lines flight 007 was shot down in 1983 for wandering into prohibited U.S.S.R. airspace, President Reagan promised that GPS would be opened up for civilian use on passenger aircraft once it was completed. 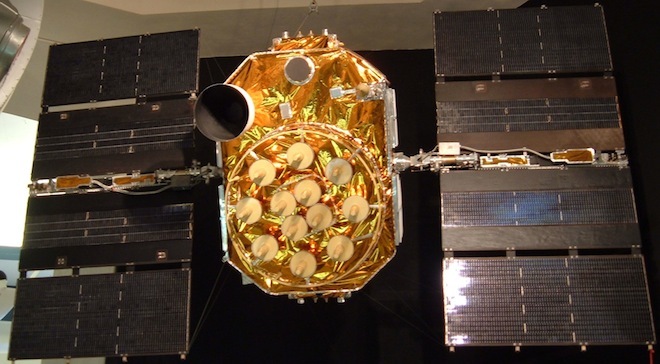 The first GPS satellite in the modern fleet launched on Feb. 14, 1989. The Air Force had planned to use the space shuttle for this launch in 1986 but was delayed by the Challenger disaster and eventually used a Delta II rocket. The full GPS fleet was completed in 1994 and now at least 32 satellites are in orbit to provide redundancy. During the same time, the Russians developed and launched GLONASS, which works on principles similar to GPS, and is currently the only alternative location-finding system in the world. At its beginning, the U.S. military feared that GPS technology would be used by enemies, and purposely degraded civilian information so that it could only provide accurate location information to within 100 meters. In 2000, President Clinton had this feature turned off and now civilian devices are usually accurate to within 5 to 10 meters. The European Union and China are currently building their own global navigation systems, known as Galileo and Beidou, respectively, that will serve as further alternatives to GPS in the coming decade. It seems likely that folks in the future will never have to worry about being lost again.